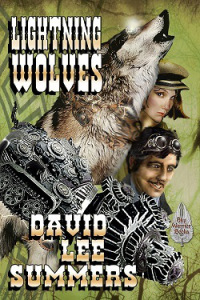 This week finds me hard at work on book four of my Clockwork Legion steampunk series, Owl Riders. The novel is set about eight years after the events of The Brazen Shark and takes a look at how the world has changed after the events of the first three books of the series. In Chapter One of Owl Riders, we learn that Ramon and Fatemeh now live in New Orleans with their young daughter. Meanwhile, back in Arizona, Geronimo has captured a large swath of territory using battle wagons suspiciously similar to Professor Maravilla’s javelina mining machine captured by Curly Billy Bresnahan in Lightning Wolves. I’ve had some great motivation getting started on the new novel this week. On Monday, I learned The Brazen Shark was voted Best Steampunk Novel in the Preditors and Editors Reader’s Poll run annually at Critters.org, a critique and workshop site founded by Dr. Andrew Burt, a former vice president of the Science Fiction and Fantasy Writers of America. I’m deeply touched by the award and would like to thank everyone who voted for The Brazen Shark. For those who have not read the novel yet, you can get copies at Amazon or Barnes and Noble. An omnibus edition of the Clockwork Legion books written to date is available at Barnes and Noble and Kobo. As it turns out, “The Steam-Powered Dragon” from the Gaslight and Grimm was in the running for best steampunk short story. Although it didn’t win, it was a top-ten finisher. Of interest, the story that did win the category was “The Complications of Avery Vane” by my friend Bryce Raffle, which appears in Den of Antiquity, another anthology I’m in! 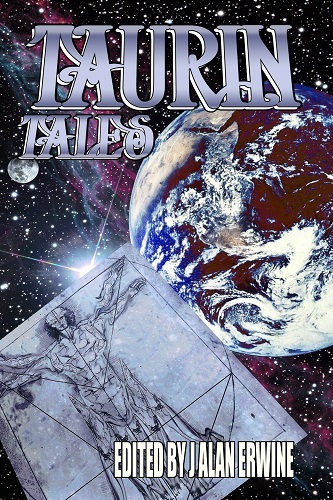 You can learn about both anthologies by visiting my short story page. 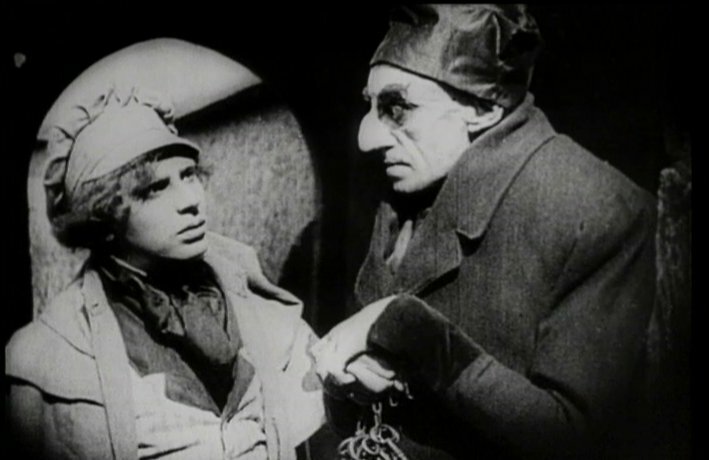 For a little steampunkery you can read right now for free, go visit the Science Fiction Poetry Association’s online zine Eye to the Telescope. The January 2017 issue, which is available as of this writing includes my poem “The Medicine Show.” I wrote the first draft of this poem when I gave a poetry work at Tucson’s Wild Wild West Con in 2015. The theme of the issue is robots and explores that idea from many angles. In addition to my poem, you’ll find works by Tales of the Talisman contributors F.J. Bergmann, Beth Cato, Mary Soon Lee, and G.O. Clark. I was also excited to see that my poem is followed by a poem by one of my heroes, the extremely talented Jane Yolen. Welcome to a new year and I hope it’s off to a terrific start. The start of a new year means it’s time for the annual Preditors and Editors Readers Poll run by Dr. Andrew Burt and the Critters On-Line Writing Workshop. Now the Preditors and Editors poll is admittedly something of a popularity contest and the fact that it’s open to all means it’s dominated by a lot of small press and self-published titles vying for attention. Several years ago, I was one of those authors out there working hard to get every vote I could. Then the pendulum swung the other way for me and I went through a few years where I practically ignored the contest altogether. I’ve decided to devote a little time to it this year because, frankly, I feel proud of the work I’ve done. To vote in the Preditors and Editors Poll, all you have to do is follow the links I give below. Vote for your favorite title, remember to fill in the information at the bottom, including the book cover CAPTCHA to prove you’re human. Once you’ve voted, you’ll receive an email with a validation link. Click that link to confirm your votes. The poll is open until January 14. Without further ado, here are the works I have in the running at the Preditors and Editors Reader’s Poll. 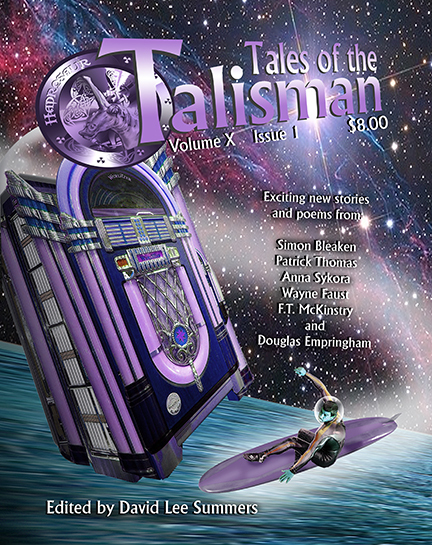 Tales of the Talisman is the science fiction and fantasy magazine I’ve edited for the last ten years. We present the best science fiction, fantasy, and horror short stories and poetry with beautiful illustrations selected by art director Laura Givens. Of all the categories I list, this is the one I’d love to see make a strong showing in the poll, just because I do feel strongly about all the great work we’ve published over the years. Poems in the magazine are frequently nominated for the Science Fiction Poetry Association’s Rhysling Award. The magazine has received Honorable Mentions in Ellen Datlow’s Year’s Best Horror anthology. I think both of these facts speak to the magazine’s quality. Thank you for your consideration. I appreciate your votes. Even if you choose not to vote, I appreciate the support you’ve given me for these books and stories. Here’s looking forward to more great stuff to come in 2015!